For centuries, hardwood planks have been the ultimate material for residential floors. Combining exceptional durability with unrivalled good looks, oak, walnut, cherry, or other solid-wood floorboards add value and beauty to any home they grace. But these days, handsome timber planking is not only found underfoot but also on the ceilings and walls of many stylish houses, whether newly built or freshly renovated. Walnut planks clad a feature wall in the master bedroom of a residence in Autin, Texas, by Cornerstone Architects. Similar decorative and architectural transformations can be achieved by covering existing walls with wood planking. A feature wall clad in honey-colored oak or some other distinctive hardwood can give a room focus, bringing a sense of organization and intention to what was previously an amorphous or confused space. It can also add warmth, color, and texture to sleek, modernist interiors that can sometimes feel chilly or austere. 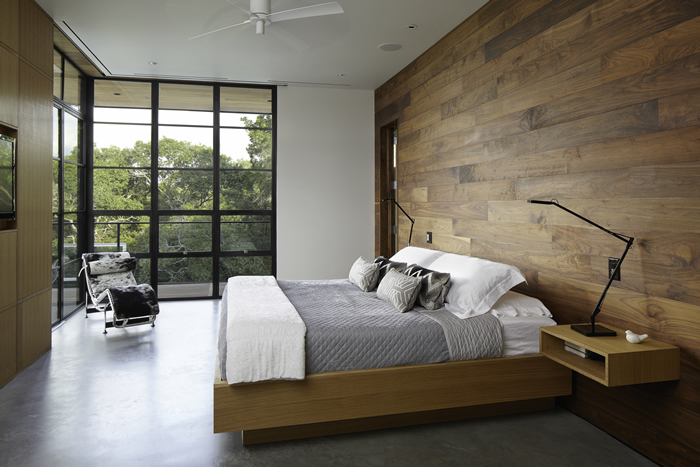 That is what Texas-based Cornerstone Architects did in a contemporary Austin residence: The decorative temperature of the master bedroom—a coolly elegant arrangement of steel and glass, polished concrete, and white plaster—was raised a degree or two by turning the entire wall behind the headboard into a magnificent expanse of burnished walnut boards. Installing hardwood planking on existing walls has become even easier in recent years with the development of self-adhesive boards. 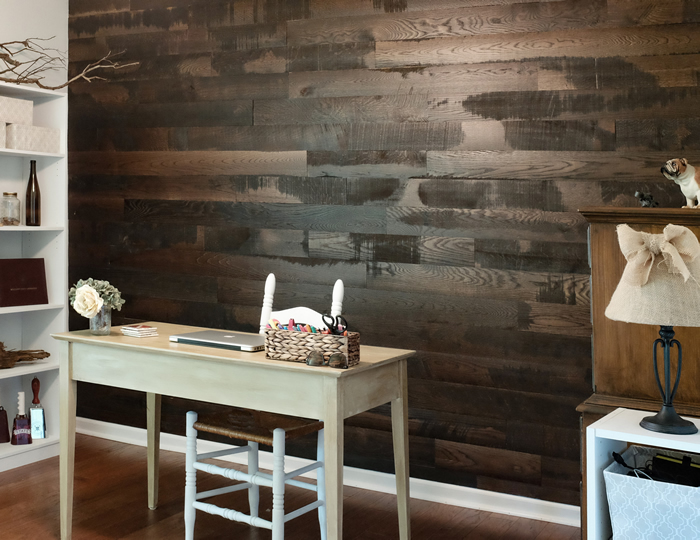 “All you need is a wall surface that has been primed or painted and is clean, dry, and relatively flat,” says Jack Shannon, III of Rustick Wood Co. in Tennessee, one of a growing number of manufactures producing sustainably grown, stick-on hardwood boards. “Our solid wood boards are available in a variety of finishes, ranging from the refined to the rustic, to fit different styles of home décor.” The five-inch-wide planks come in lengths between two and five feet and can be applied in many possible patterns: classic end-to-end horizontals and verticals, graphic herringbones and chevrons—the homeowner’s imagination is the only real limit. 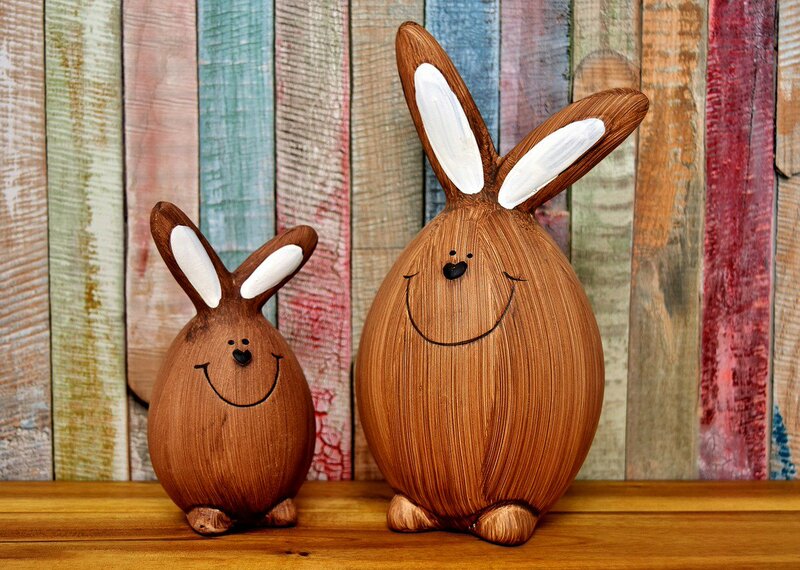 Self-adhesive oak planks from the Rustick Wall Co. bring a country vibe to a den.